This week we’ve had another PR boost. 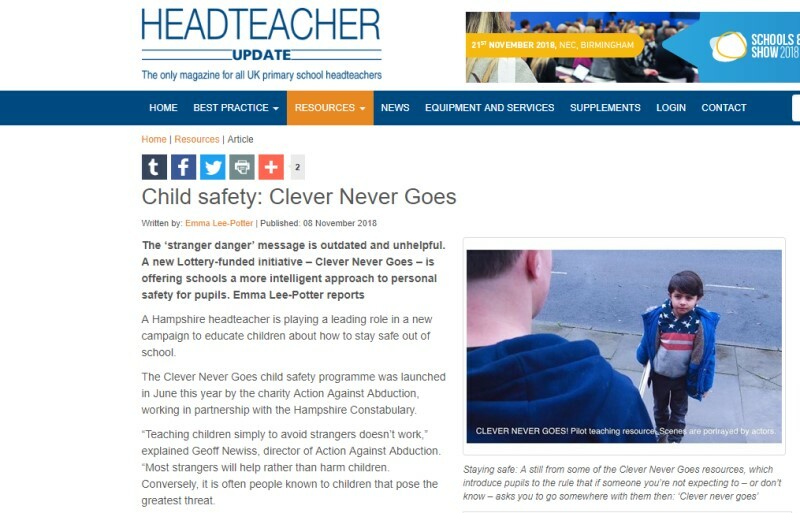 The Clever Never Goes programme has been featured in the Headteachers Update magazine. It’s a great article offering an excellent insight into the thinking behind Clever Never Goes, with contributions from our directors Jacky Halton and Geoff Newiss. More schools have been registering for the Clever Never Goes resources on a daily basis (you can register your school here). It’s also great to see schools from across the whole of the UK registering. We’ll update you on the total number of schools signed up to Clever Never Goes in the near future!